This Christmas break my family decided to trek down to Pompeii to visit the ruins and Mount Vesuvius, something that I have wanted to do for a long time. 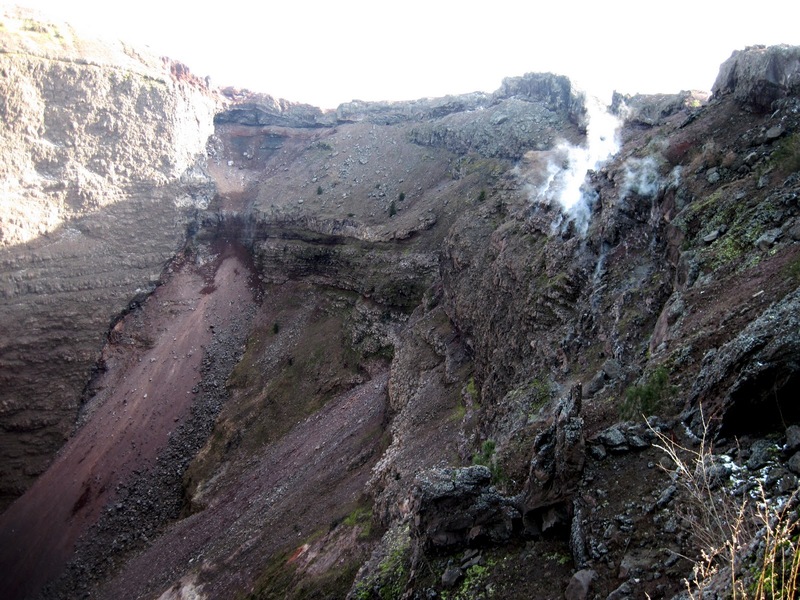 If you’ve ever taken an introductory geology class, then you’ve probably heard the story of the eruption of Vesuvius in 79 AD, as it is used to illustrate several concepts about volcanic eruptions. The 79 AD eruption began with a Plinian eruption, where a large column of ash extends high into the air, as far as the stratosphere. The term “Plinian eruption” is derived directly from the 79 AD Vesuvius eruption – Pliny the Younger was one of the first people to describe a volcanic eruption in detail. There are many examples of Plinian eruptions from the last few decades – Mount Pinatubo in 1991, Mount St. Helens in 1980, and most recently, Eyjafjallajökull in 2010. 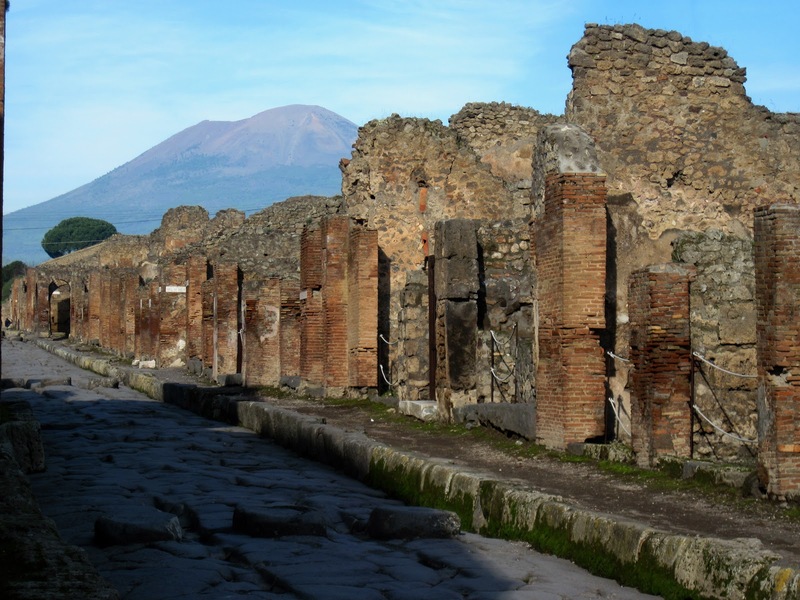 After a day of Plinian-style eruption, several pyroclastic flows covered the cities of Pompeii, and, in particular, Herculaneum. 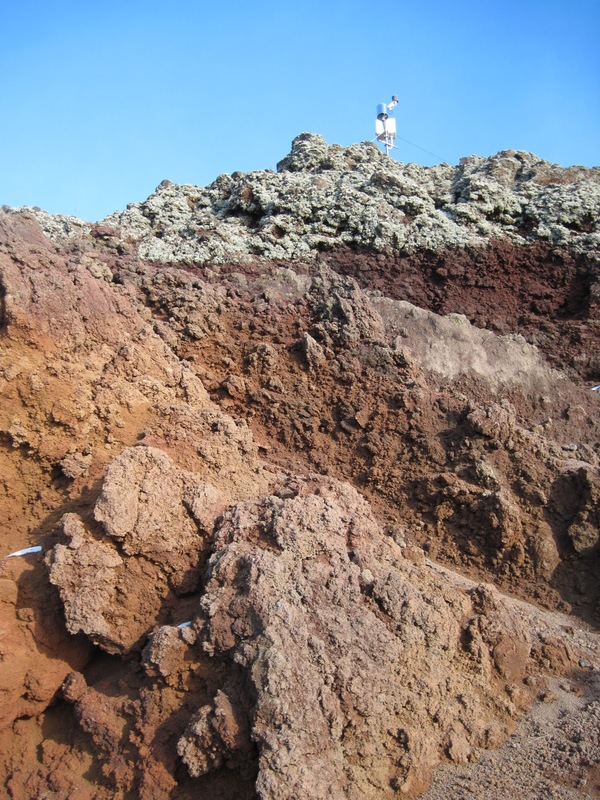 Like many other volcanos, Mount Vesuvius is found at the intersection of two plate boundaries. The African Plate is subducting (diving down) beneath the Eurasian Plate, and as this occurs, melted rock moves up towards the surface and eventually erupts from the volcano. The volcano was steaming away when we climbed it last week – a good reminder that Vesuvius is just snoozing, not dead. Wikipedia directed me to this very interesting article about the danger Vesuvius poses today to an ever-growing population along its flanks. A future eruption by Vesuvius could seriously affect at least 600 000 people who live in the ‘red zone’, and up to 3 million people in the surrounding areas. There are emergency plans in place to evacuate these people, but there is concern that they may not be adequate. During our walk up the volcano, I did spot a lot of interesting looking monitoring stations, and you can see what Vesuvius is up to at this website. 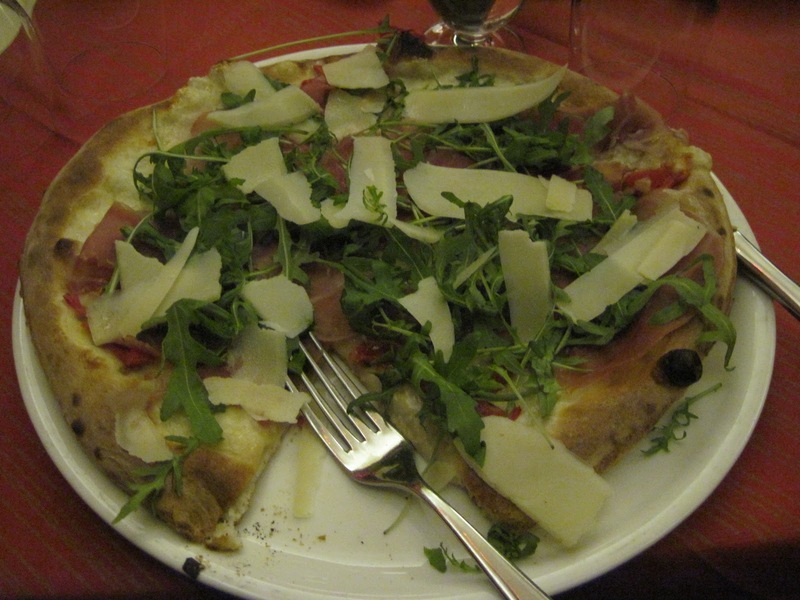 On a somewhat lighter note, you can get Pizze Plinio in Pompei! (It has bufala and parmesan cheese, prosciutto crudo, tomatoes, and rocket lettuce…which I suppose is like a volcano…a delicious, delicious volcano…). ← Mamma mia, è un dinosauro! Interesting photo of Pompeii. Love the photo of the pizza.